The prohibitive cost of mounting a legal case is a key challenge in bringing environmental cases in Ireland, the Chief Justice has said. 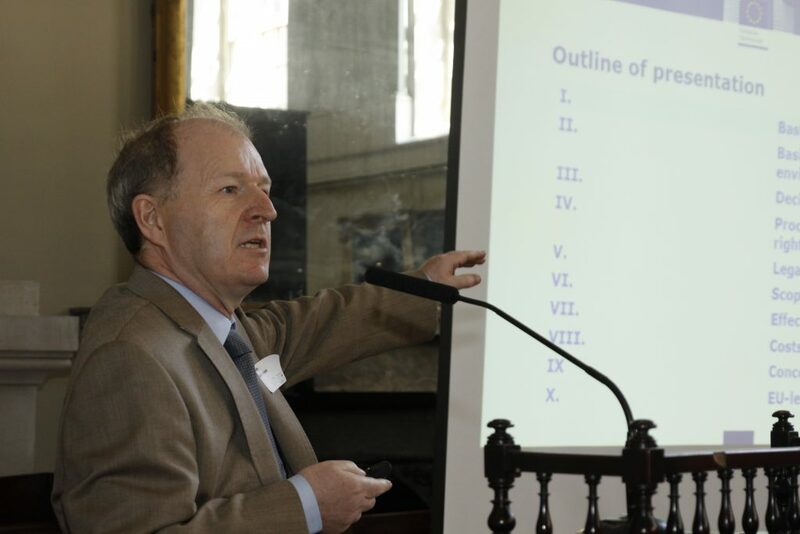 Speaking at an environmental law seminar at the King’s Inns yesterday to celebrate 20 years since the adoption of the Aarhus Convention, Mr Justice Frank Clarke said that a “surprisingly large” number of cases before the Supreme Court are in the environmental field. The Aarhus Convention, ratified by Ireland in 2012, is an international agreement establishing a number of rights of the public with regard to the environment, including guaranteed access to justice at a cost which isn’t prohibitive. Mr Justice Clarke told the audience, however, that that the issue of costs has been “one of Ireland’s great difficulties” in complying with its obligations under the Aarhus Convention. While the Irish legal system is robust in terms of offering adequate remedies if an individual or groups win a case, “it may cost you a lot to get the remedy”, he added. All countries have had problems in implementing Aarhus, Mr Justice Clarke said, with costs proving to be a sticking point in countries whose legal system is based on common law. 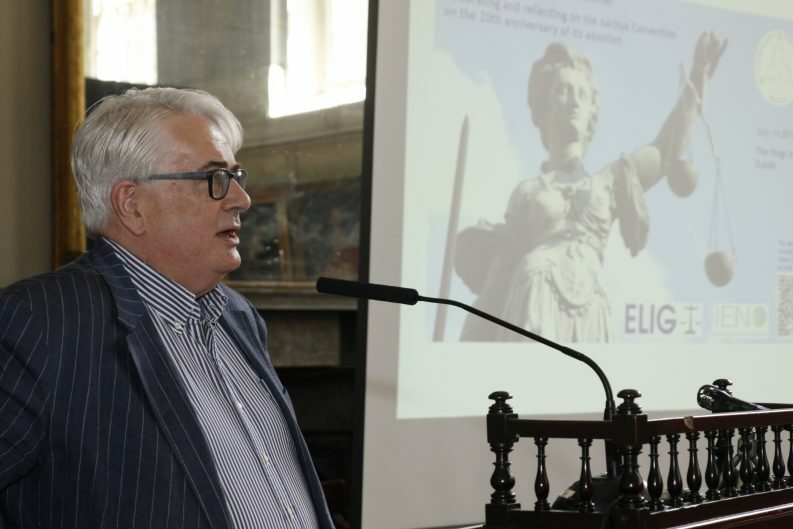 The European Commission’s Liam Cashman said, however, that Ireland “stands out as really exceptional” within the EU due to the “cost risks” associated with taking a case to the courts. If you create a “hostile cost environment”, Mr Cashman added, you can only realistically expect a “man or a woman of straw” or a one-shot NGO “ready for liquidation if things go wrong” to take up cases. “I think it’s difficult to be surprised if you don’t see your mainstream environmental organisations staying out of the courts. You may then wonder are we really getting the kind of environmental litigation that would serve the public interest,” he added. 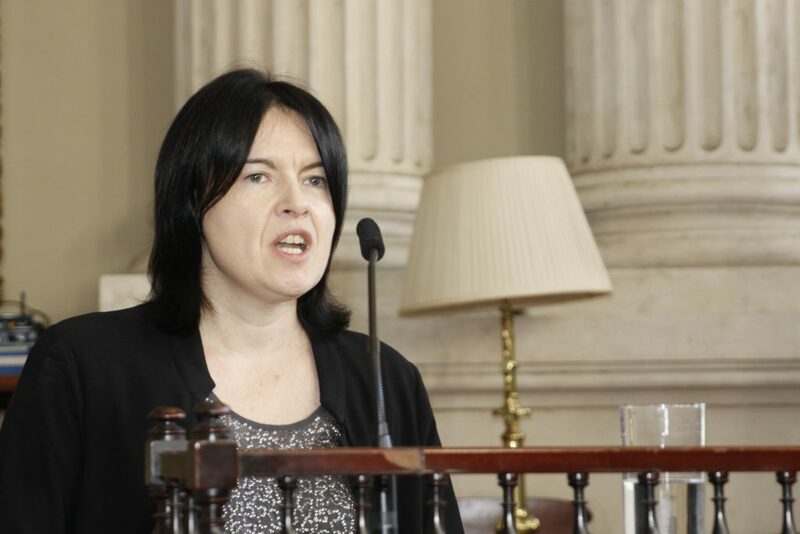 Speaking in her personal capacity at the event, the Vice Chair of the Aarhus Convention Compliance Committee, Dr Áine Ryall, called for “meaningful” public consultation on a new Government Bill concerning the process of judicial review. Currently, there is an eight-week window to make an application to the court for leave to judicially review planning decisions for strategic infrastructure developments. Within this period, an individual or organisation making an application must get a copy of the decision, determine the exact legal issues at play, and also request information which may be required to inform the decision to challenge. The Bill, expected to be published in August, would reduce this period from eight weeks to four weeks for major building projects, such as plans to build a data centre. It is also believed that the State intends to tighten the rules for eligibility to take judicial review proceedings so that would-be litigants have to prove that the development impacts on them directly to entitle them to take such cases. It is also expected under the new measures that NGOs would have to prove that they have an environmental focus, are not-for-profit and have been active for at least three years. Dr Ryall that it was “disappointing” that the Government has yet to publish their reasoning and the evidence behind the proposals. It appears that the intention of the Bill is to “reduce the number of challenges to strategic infrastructure developments”, the University College Cork academic added. According to the Government’s legislative programmes for both 2017 and 2018 “work is underway” to update our legal provisions to fully comply with the Aarhus Convention.